eason 9 has begun! Mike, Mike, Jen, and Mary review the new episode featuring some very familiar faces. Our reactions may rock you like a shredding Time Lord! The ESW crew is almost ready to start the new season of Doctor Who! Before Mike, Mike, Jen, and Mary set out for new adventures, they chat with Friend of the Station R. Alan Siler about his new book, Doctor Who’s Greatest Hits. One of those stories is an epic Fourth Doctor tale that begins with a small pod in the Antarctic and ends with a giant Krynoid in England. Alan also reveals the latest information on TimeGate 2016 so you can start making your plans now to join us in the fun! It’s hard to believe it has been five years since Earth Station One has been part of Dragon Con! 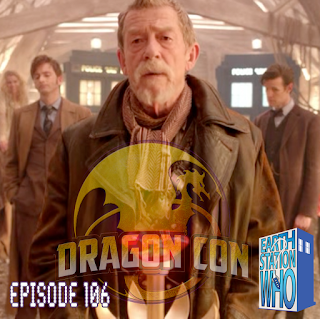 Mike and Mike got together with Dr. Scott Viguie, Jason De La Torre, Jennifer Hartshorn, Kevin Eldridge, William Kielhorn, Smoking Joe, Brad Jackson, Darren Nowell, and some other folks to discuss the wonderful weekend that was Dragon Con. Some pie might have been imbibed. We encourage folks to listen at their own discretion. Live from Dragon Con 2015! Mike, Mike, Jennifer, Roby Levy, and Angela Pritchett hosted a panel as part of the BritTrack and discussed the morality of the Doctor. A fantastic debate featuring many voices from the audience. 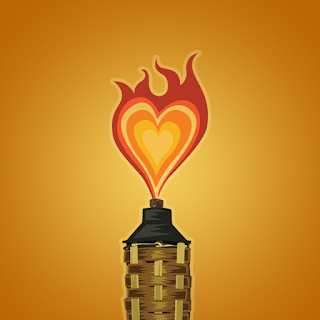 Thanks to everyone for participating and special thanks to R. Alan Siler for running all around the room. 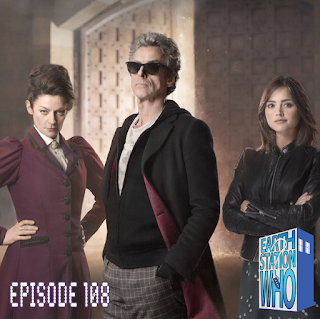 Earth Station Who Episode 106: Is the Doctor a Good Man? 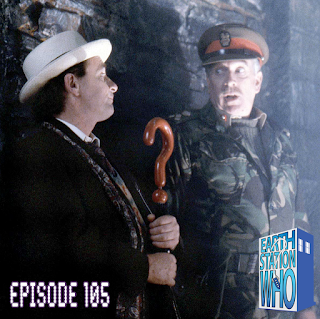 As voted on by you the listeners, the ESW crew battle onward this Seventh Doctor story. 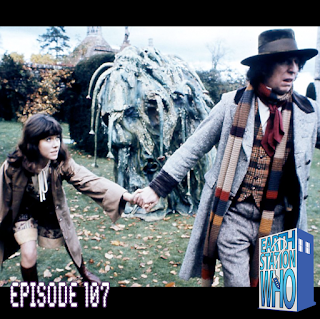 Mike, Mike, and Mary discover some familiar faces as the legend of Excalibur comes to life due to the acts of a once and future Timelord. And there was much rejoicing. 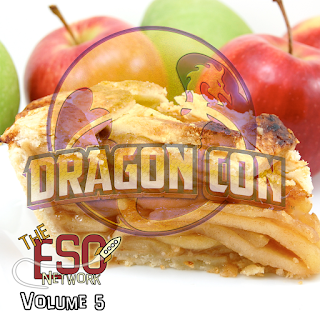 Plus, a preview of ESW at Dragon Con!